The timeless Cat Eye just got sexier for Fall. From ancient Egypt to the mod ’60s and punk ’80s to today, it’s always been an iconic beauty essential. 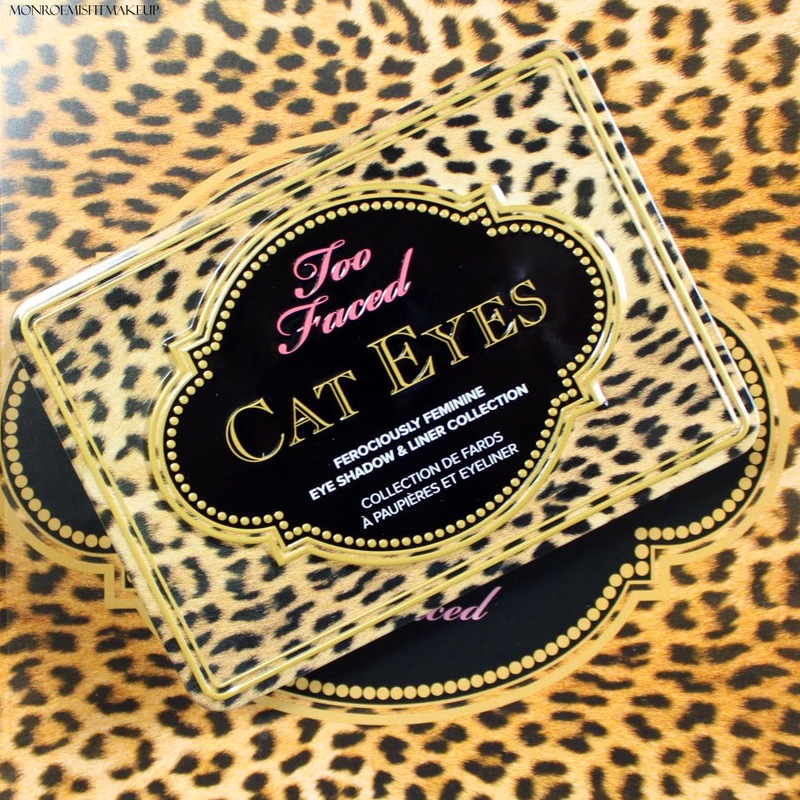 This classic has been updated with Too Faced Cat Eyes Palette . Nine matte, shimmer and glitter textures in warm and cool tones. Included are three wet-and-dry formulas for intense precision lining and a perfect wing tip. 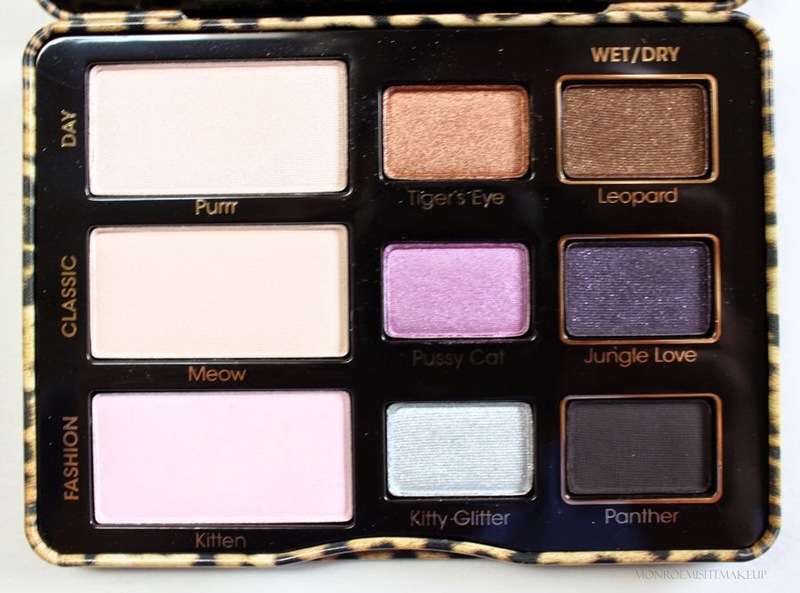 If I could design an eyeshadow palette this is what it would look like, the packaging is adorably ferocious. This Cat Eye Collection comes with the signature Glamour Guide with three beauty looks to get you started. 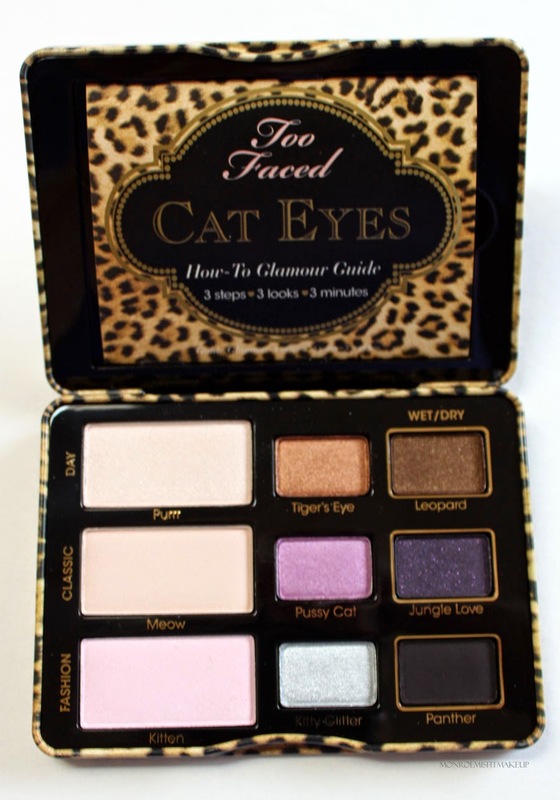 By now you've gotta know you can't really go wrong with Too Faced Palette's. The shadows are always beautiful colors with a varied mix of finishes and Cat Eyes is no exception. It was nice to see nine brand new shades inside as some of their colors can look repetitive. The color combo in this palette is very interesting. 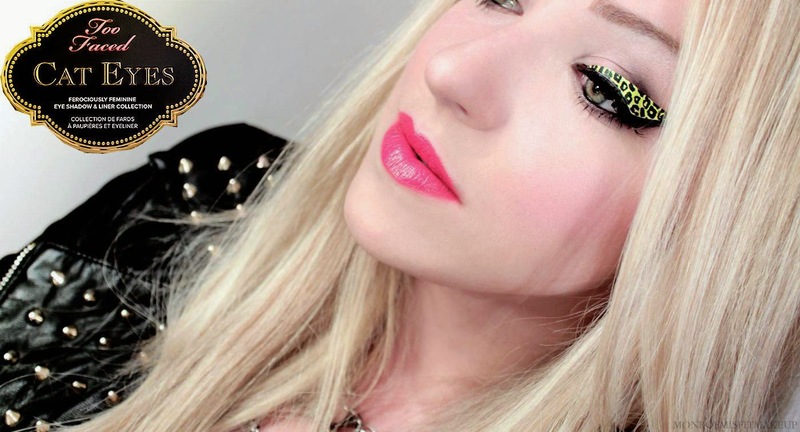 It's a mix of sheer sparkly color and dark liner shades that will easily take you from a soft pastel to an intense smokey eye. Soft creamy glowy pale pinks, bronze, lavender, a shimmering minty silver, with three dramatic dark shades of bronze, deep sparkly purple, and matte black that can be used wet or dry. The shadow I had the most trouble with was Kitty Glitter, sad because it reminds me of a Placebo song, it was sheer with shimmery fallout everywhere. Jungle Love is a bit tough to work with dry but much more favorable when wet. Purr, Pussycat, and Tigers Eye were beautiful. There's some great shadow's in here and a few that were a miss. I would get this palette for using the dark shadows as wet liners. Those are the standouts. 2008 called it wants its look back! Couldn't help it, I spotted these born pretty eyeliner appliques far in the dark depths of my makeup drawer and they were so matchy matchy to this palette and fit the cat eye theme. Some vintage Monroe Misfit Makeup....if I start doing cut creases and rainbow eyeshadow tell me to gtfo and shut it down...just no. This palette though? Is a YES.